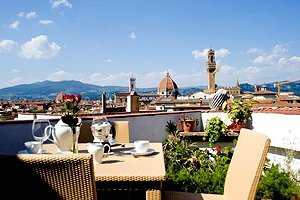 Florenceholidays.com is an agency specialised in renting holiday apartments and villas in Florence. 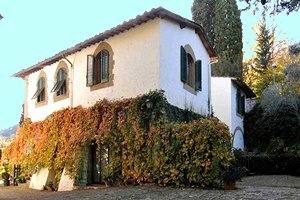 Visit our website, where you will find a selection of luxury apartments in Florence: apartments in the historical centre and luxury apartments offering a panoramic view of the whole city. The Ponte Vecchio as we know it today was built in 1345. In 1333 a flood destroyed a stone bridge dating back to 1170 and in 1966 another flood destroyed all the jeweller`s and the shops on the Ponte Vecchio, that in 1593 had substituted the butchers, fishmongers, tanners and leather dressers that used to have their shop on the bridge. 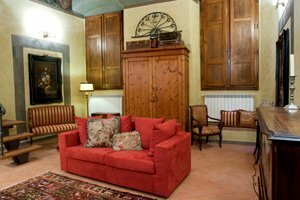 Rent one of the luxury apartments in the neighbourhood of Ponte Vecchio we have selected for you for your next holidays in Florence.